Vocal Revolution offers Singing Valentines both live/in-person and as pre-recorded personalized videograms. Whether you're looking to surprise your friend or loved one in person, or wherever they may be around the world, we've got you covered. See below for details! 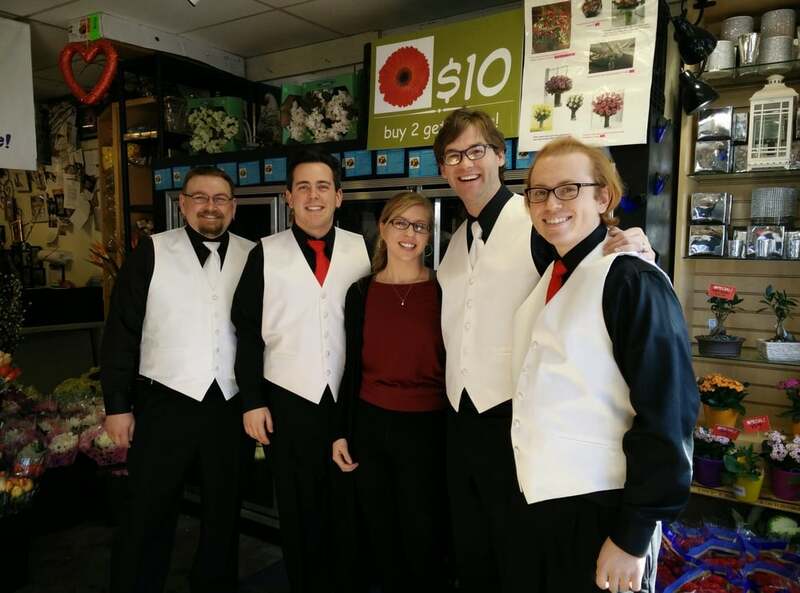 Vocal Revolution will send a well-dressed quartet to your loved one’s home or office to deliver a Singing Valentine. The quartet will arrive, sing two tender love songs and present a bag of candy (kisses, naturally), a silk rose, and take a picture of the occasion which will be e-mailed to you later. Deliveries are available on Valentine’s Day, February 14th, from 9am-10pm throughout the Greater Boston area. Other dates may also be available, by request. Prices start at $60 and are based on the size of the delivery time frame. Smaller time frames cost a bit more as they require increased scheduling logistics. Will your loved one be away or traveling? Are you looking to share a Singing Valentine with your loved one in a cost-effective way? Send a videogram! Clips from real-life videograms are embedded below. Click above to view clips from past videograms! 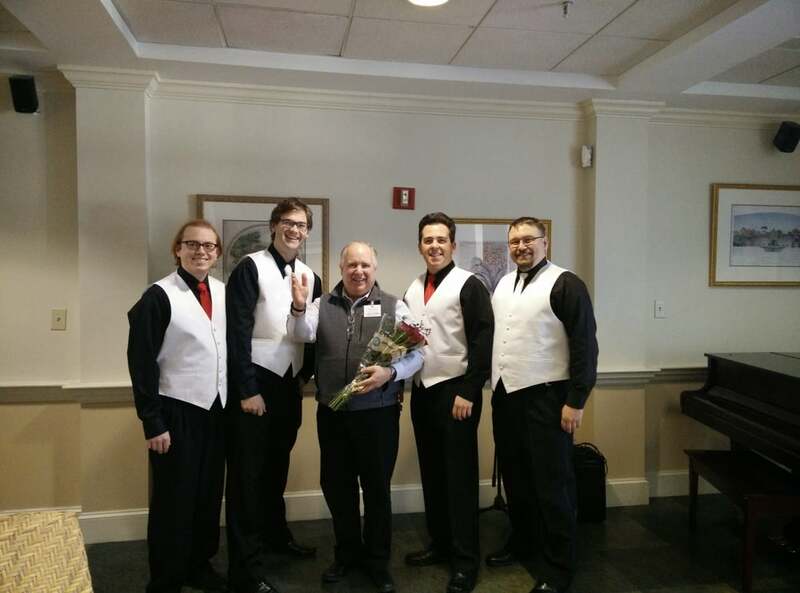 Vocal Revolution will send you a downloadable link to a recording of a well-dressed quartet speaking your customized message, followed by two heartfelt love songs and a final good-bye message "from us to you, Happy Valentines Day, [recipient]!" Additional messages and further customization by special request. Personalized videograms cost only $40. For further information, email us at singingvalentines@vocalrevolution.org or call 866-537-1584.